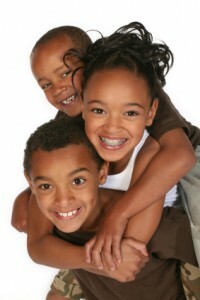 Here are a few tips to make the adjustment to life with braces as smooth and easy as possible. Ask a team member if you have questions about any of this information. Take special care to protect your orthodontic appliances and braces when you eat. Faithfully follow the instructions on foods to avoid and you will avoid orthodontic emergencies. Common sense will guide your decisions about what to avoid. Foods which include lots of sugar and sticky or hard foods cause the most problems. Sugary foods cause tooth decay and related problems. Sticky foods damage appliances by bending wires and pulling the cement seal of the bands. Hard foods also bend wires, loosen bands and break brackets and tubes that are connected to the bands. When you first get your braces, there may be a general soreness or tenderness in the mouth. This is normal and can be relieved by rinsing with warm salt water. Dissolve one teaspoon of salt in 8 ounces of warm water and rinse vigorously. If the tenderness is severe, you can take an over the counter pain reliever such as Tylenol. Soreness usually dissipates by the third day. It is not unusual for lips, cheeks and tongue to become irritated for up to two weeks as they adjust to the braces. Orthodontic wax should be used to cover sharp edges during this time. It is normal for the teeth to feel loose throughout treatment. They must become loose in order for them to move to their new positions. The teeth will again become rigidly fixed when they reach their new positions. Occasionally a wire or band may come loose. Do not be alarmed if this happens. If the wire protrudes and is irritating, use a blunt instrument (back of a spoon or eraser end of a pencil) to carefully and gently push the irritating wire back into place. If irritation to the lips or mouth continues, place wax or wet cotton on the wire to reduce the pain. Contact our office for an appointment to evaluate and repair the appliances. If any piece of an appliance or your braces comes off, save it and bring it with you to your appointment. If you take part in athletics, it is important that you wear a mouthguard at all times. Ask about special precautions at your next appointment. In case of any accident involving the face, check the mouth and appliances immediately. If teeth are loosened or the appliances are damaged, contact our office immediately. Success of treatment depends upon cooperation between the patient and the doctor. Wear appliances as directed, avoid foods that can damage the braces and maintain excellent oral hygiene. Always be conscientious and responsible about your treatment. Spend a few moments each day checking braces and appliances with a mirror to make sure they are cleaned thoroughly and in good condition. Always smile and be proud of your braces. Your smile shows the world that you care about yourself.